The July 27 and 28 shows in Gothenburg's Ullevi Stadium mark the biggest concert event ever in the history of Northern Europe, with attendance passing 130,000 people. In addition, Bruce now has 16 of the top 100 albums on the iTunes Scandinavian Chart. As a thank you to all of our fans in Sweden and around the world, here is the live video of the rarely performed "Drive All Night" from our July 27 show at Gothenburg's Ullevi Stadium, directed by Chris Hilson and sound mixed by John Cooper. 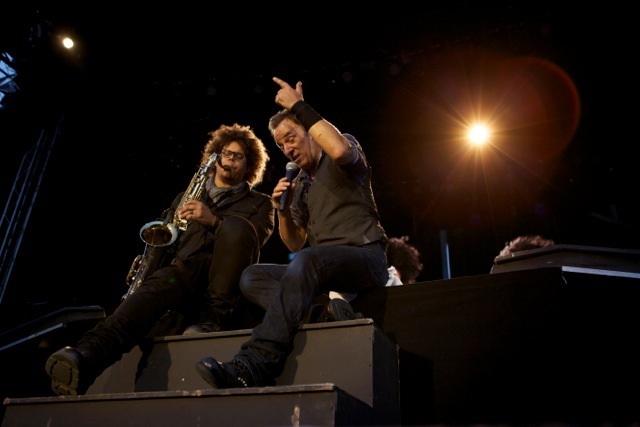 It features Jake Clemons on sax and was one of the 31 songs that Bruce and the band performed during a classic 3 hour and 43 minute show.